The Civil Rights Litigation Group is a people’s law firm in Denver, Colorado. We represent real people across the state; never governments or corporations. We are staunch civil rights advocates who believe that justice requires public officials and corporations to be held accountable for abusing the public trust. We believe victims can send a strong message of deterrence by standing up for your rights and reclaiming the dignity and respect that is often taken by those who misuse their power and authority. We fight for those who have had their Constitutional and legal rights violated by abusive government officials and corporate entities. We are a plaintiff’s law firm that prosecutes civil cases using 42 U.S.C. 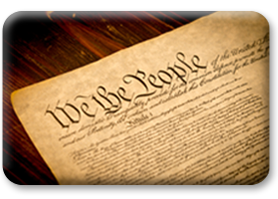 1983, Title VII, the ADEA, the ADA, and other civil rights statutes to vindicate you and your rights in federal court. Note: We do not take civil cases involving only private party litigants (such as car accident cases or contract disputes), only cases involving civil rights violations. For more information on the cases we take, check out our Practice Areas and What We Do pages. We have the experience, dedication, and passion necessary to go toe-to-toe with people who are used to flaunting their authority and concealing corruption. 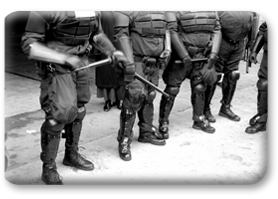 We work exclusively in the legal world of civil and constitutional rights and we specialize in police misconduct and employment discrimination claims. When circumstances go awry, you want an attorney that is 100% dedicated to your rights. A free consultation may be your first step to obtaining justice and compensation when your rights have been violated. For in-depth, expert analysis of Colorado’s recent issues concerning civil rights and employee rights, check out our Civil Rights Blog.